He probably never thought he and his family would wind up in a Japanese internment camp. Never thought he’d be elected mayor of a major U.S. city. Never thought he’d serve in Congress. Never thought he’d be appointed transportation secretary or commerce secretary. And never thought his portrait would hang in the Smithsonian. 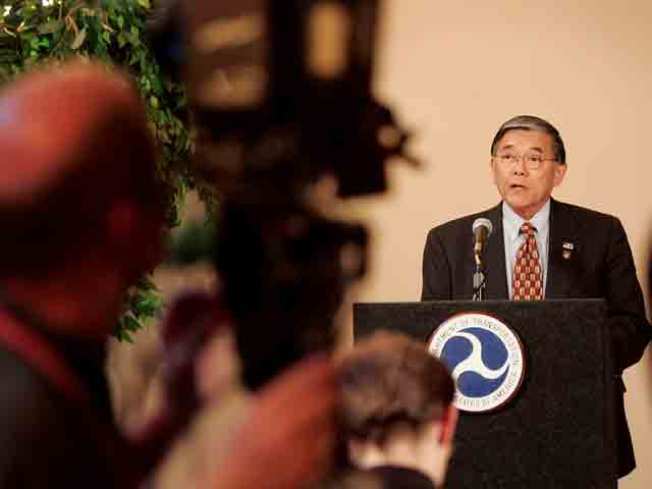 A portrait of former U.S. Transportation and Commerce Secretary Norman Mineta was installed Monday night in the Smithsonian’s National Portrait Gallery, becoming part of the museum’s permanent collection. The oil-on-canvas painting by Everett Raymond Kinstler has been given as a gift to the gallery from the Smithsonian Asian Pacific American Program. In the portrait, Mineta wears a dark suit with a red tie. One hand is cradling the other. His smile is subtle but strong. President Bill Clinton appointed Mineta commerce secretary in 2000, and President George W. Bush appointed him transportation secretary in 2001. He also served in Congress for 20 years, representing California. During World War II, Mineta and his parents, who were Japanese immigrants, were detained in an internment camp. In 1971, he was elected mayor of San Jose, making him the first Asian-American mayor of a major U.S. city.